I’m so excited to finally be able to share this with you all! As many of you have commented or emailed me about, I’ve been a bit quiet for the past 6 weeks or so. 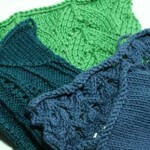 That’s because I’ve been busy developing knotionsmag.com, a new online knitting magazine. This has been a real labor of love and I couldn’t have done it without the input and support of so many friends: Christy, Jessica, Kathy, Kelly, Kristy, Liz and Michelle. Thank you ladies for your smart, thorough feedback and encouraging words — Knotions is better because of each of you. I have so many plans for knotions, and I’d love your input as well. Stop by the site and fill out the reader survey. This is also the first official call for submissions, so if you’re a designer (newbie or established), take a look at the submissions guidelines. The first issue publishes in August, and the first article series comes out in April. Totally Awesome! I cannot wait to check it out – Congratulations and the Best of Luck!!! Congratulations! I will certainly be reading! Jody – this is fantastic! What a great marriage of your tech savvy and knitting prowess. I’m eager to see the first issue! Congratulations! I’m so happy to see your long-ago hatched ideas come to fruition. The layout is looking fabulous! Congratulations! I am excited about this. How exciting! I filled out the reader survey and was surprised (in a good way) at how detailed it was. totally thirlled for you, you really take creative up a notch and make it look fantastic! Wow! This is so exciting. You can bet that I will be keeping this on my radar. Congratulations! Congratulations!! So exciting and I can’t wait to look around! Wow, congrats. This looks like a ton of hard work and planning. Okay . . . heading over for the survey now…. The changes you made were great and the whole thing is the perfect venue for your expertise. I’m really looking forward to seeing it all! I love the changes you’ve made to your page and I’m really looking forward to reading Knotions (i LOVE LOVE the name). Congratulations!! This is really exciting! 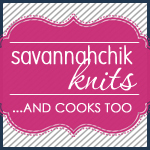 I haven’t been excited about an online knitting mag in a LONG time! Congratulations, what a great endeavor! That is so great! I am gonna have to check it out! YAY!! Wow! It’s beautiful! I can’t wait to see it filled up with juicy tid-bits. Congratulations! Brilliant, well done you! I can’t wait, you’re a star. OMG this is fabulous! This is exactly what we need. Yay!! This is gonna ROCK! congratulations! what a fun project to start and be involved in! 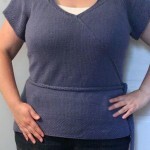 isn’t this the second online knitting project you’ve been involved in this year? i’m blanking on the first. you’ve been quite busy! Congrats! I look forward to all of the great projects. I am SO happy for you!!! And me!!! And all of us!!! Congrats, Jody! I know how much work it is to get something like this up and running from scratch. I’m glad my wee bit of feedback was helpful! How very exciting… congrats and I can’t wait to see the first issue! Congrats on your new venture! I think the blogosphere needs several good knitting magazines, and I like that you’re going for fit considerations. How exciting!! I’m off to take a look now. Congrats! Reading over your plan, I have to say that it looks like your aim has its own niche in the online knitting magazine arena. It’s very exciting, J! Congrats, Jody. Looking forward to it. Congratulations on the new venture! Looks like it’ll be a hit! this sounds and looks great. SO exciting!! I’m headed over right now! I am excited already as I know you always have pretty cool stuff. Every one on internet searches for very good content. Its very unfortunate with most of the websites published posts that are boring and out of context articles, just to show that new material is being published. Contrary to that immoral practice, this article is a very good-written article. You know, i have to tell you, i really enjoy this site and dha insight from everyone who participates. Anyway, what do you think about sing?